So you got yourself a DAW, and you have some gear like a pair of studio headphones or speakers, and a laptop and you’re ready to either record your own music or produce your first beat. Great! But then you open up your DAW and you notice that to get practically anything done, you need to utilize some plug-in software. You come across the term “VST” and you’re not entirely sure what these things are, what they do, and why you need them. So inn this post we’ll talk about what VST plugins are, which will help to give you some light as to how they work and why you actually need them. VST stands for Virtual Studio Technology. It was created by the people at Steinberg to emulate what used to be hardware equipment used in a studio. Back in the day, if you needed to place an effect on a track, such as reverb, or compression, you would actually have to buy a physical unit, and like hardware reverb, install it on your studio rack, and plug it in your studio console, which is your mixing desk, or workstation. Thanks to technology, all of these can now fit on your laptop. As everything became more digitized, and from then, moving toward computer-based music production, the trend led away from clunky hardware that filled a studio, to emulating and simulating the same effects and instruments used to create music using software tools instead. Nowadays, VST plug-ins are good enough to even replicate analog effects and instruments. Being software, they are cheaper and more versatile. What would once require tens of thousands of dollars worth of equipment sitting in several square feet worth of space, you can carry around with you on your laptop wherever you go. 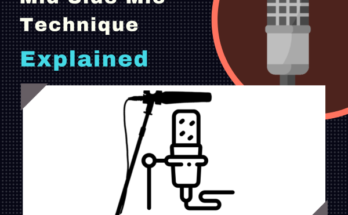 A VSTi is exactly the same as a VST, except that instead of emulating effects plugins like reverbs and echoes, they emulate actual instruments. You don’t need to buy an instrument, then, if you plan on creating music on your DAW, you simply need to get yourself a VSTi of that instrument, install it on your computer, and record your music with it. These are generally synthesizers, samplers, and drum machines. There are VSTis for literally any instrument you can think of. From your standard piano, to exotic percussion instruments, all you need to do is do a google search for your desired instrument + VSTi and you’ll find it. There are some that exist that are free, and some premium ones that are as good as the real thing (examples are Keyscape by Spectrasonics). At least one synthesizer – these instruments generate sounds electrically. A sampler – these take pre-recorded sound samples which you can play back by triggering them with the MIDI notes you write in (with your mouse) or play in (with you MIDI controller) in your DAW. A drum machine – as the name suggests, this creates beats and grooves for your music. These are just about as popular as the VSTi plugins that we discussed above. Maybe even more. Mixing engineers are familiar with these plugins, but so should anyone making music on a DAW. As the name suggests, these are responsible for creating effects by manipulating the sounds generated or inputted into your digital audio workstation. Some examples of these “effects” are reverb, echoes (or “delays”), EQing, limiting and compression. There are virtually limitless varieties of effects that can be created, and therefore a limitless variety of plugins in existence. From your run of the mill compressors to harmonic exciters. But the ones you should be most concerned with having are the essentials. Metering plugins are used mostly by mastering and mixing engineers. Their purpose is to, as the name suggests, monitor the audio signal either coming into your DAW or being produced by the audio within it. 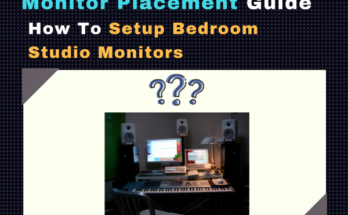 There are several types of audio signals to monitor. 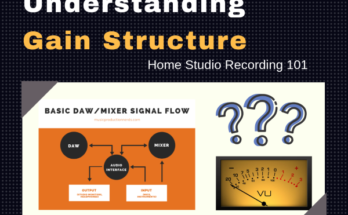 The spectrum analyzer, perceived loudness meter, the phase correction, and VU meter are just a few to name. Once you begin working on your music, you’ll come across the need to see what sort of levels your music is producing. As you become more advanced, you will know what sort of levels to look out for, and therefor find the plugins that will show you that information. Lastly, there are the MIDI plugins. These plugins can be very useful for composers and arrangers. They often provide shortcuts for writing, creating, and manipulating notes in your DAW, tasks which, depending upon how many notes you’re dealing with, can otherwise become tedious with time. For example, a chorder” plugin will play chords for you when you play or write a single note into you DAW. Useful if you’re stuck trying to figure out or coming up with chord progressions. The arpeggiator takes chords and plays each note sequentially or in a pattern for interesting musical effects at various speeds. The note repeater is similar in concept to the arpeggiator by creating patterns from notes. You even have MIDI plugins that assist you in making new melodies on the fly from entering a few notes. You even have MIDI plugins that assist you in making new melodies on the fly from entering a few notes. Where Do I Get VST Plugins? Chances are that the essentials that we’ve mentioned already exists within your DAW. Modern digital audio workstations come with all the basics, plus more. So it’s suggested to stick with getting familiar with the ones in your DAW, learning your way around them, how they are used, when they are appropriate to be used, and so on. Once you’ve gotten the hang of these, which will oftentimes be basic, you can find other professional plugins to buy or download some fun ones for free online. There are countless amounts of plugins out there, as well as plugin resources, so it is easy to get lost when trying to find the one that’s right for what you want. VST plugins are an essential part of music production. There would literally be no music produced if it weren’t for software plugins. As a digital audio workstation is simply a virtual desk where you can organize, arrange, and create your music, you can think of it as essentially your blank slate. Whatever it is you want to do with it, whether it is editing a sound, or creating some effects, would require software to produce that for you. Hello, I have done some production work for myself in the past. I wish I had known about VST plugins back then. It would of saved me the trouble of trying to find the right keyboards that the sounds I was looking. Luckily, I found out about plugins on my computer. Changed my life. Haha, true. The technology behind plugins today is incredible. Enter bands and orchestras large production studios can be replaced by simple software plugins.